Currently offering a 10% discount for senior home care provided! A to Z Senior Care enables individuals to receive private duty quality compassionate care in the comfort of their place of residence. Individualized care plans promote emotional and physical well-being, allowing your loved one to stay independent for as long as possible. Our CNA/HHA, and Companion caregivers offer sensitive Tender Care to your loved one at scheduled times, up to twenty-four hours a day or simply bath services to those in need . A to Z Senior Care, LLC is your solution for personalized in-home care assistance in the comfort of the client's own home. Our company is based on the belief that our client's needs are of the utmost importance. Our entire team is committed to meeting those needs. As a result, a high percentage of our business is from repeat customers and referrals. A to Z Senior Care, LLC is dedicated to assisting seniors and the physically challenged to live independently in their own homes for as long as possible. Our service is about caring and enriching the lives of the elderly and those who are home-bound, memory impaired, socially isolated, or depressed. We view each client as having unique strengths as well as unique needs. A to Z Senior Care has the ability to provide exceptional caregivers. We also devises a Free in-home consultation and pairs our clients needs with our caregivers. Daily Living can become routine in a way that may not work for your schedule but with some assistance from A to Z Senior Care, LLC it can make a big difference. 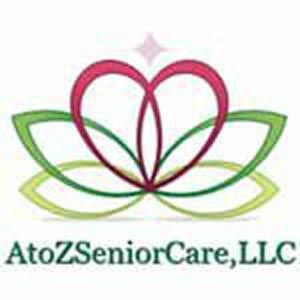 A to Z Senior Care, can offer services that provide help in retirement communities, nursing homes, etc. Every client relationship is managed through an experienced supervisor that proposes instructions even as the clients necessities may change. A few examples of services that A to Z Senior Care, LLC provides are: SERVICES PROVIDED: •Laundry and changing linens •Light Housekeeping •Grocery Shopping and errands •Companionship •Activities •Respite Services •Medication Reminders •Meal Planning and preparation •Accompany to appointments - medical and other •24 Hour Backup and support ***MOST LONG TERM INSURANCES ACCEPTED*** We would welcome the opportunity to earn your trust and deliver you the best service in the industry. CONTACT US by Phone: 561-839-0046 Hours: Mon - Fri: 9AM - 5PM Sat/Sun: Closed •On Call 24hrs Daily!